Parrot Analytics’ industry-leading Demand Expression metric accurately measures content demand using an array of global data source inputs every day. The inherently cross-platform nature of the metric means that audience demand for television content from across the industry – SVOD, OTT, linear and cable – can be captured around the world. In this article, we use Demand Expressions to uncover which titles have the highest content demand in the US domestic television market, both for all titles and for the SVOD-first digital original titles. For the week of the 25th of November to the 1st of December, the attention of American audiences turned south to Mexico as Narcos, Netflix’s drama about Mexican drug cartels, topped the chart as the most in-demand digital original series. This means that Narcos replaces The Chilling Adventures Of Sabrina as the most in-demand digital original series, ending Sabrina’s four week run at the top. However, Sabrina remains the second most in-demand digital original title in the USA. 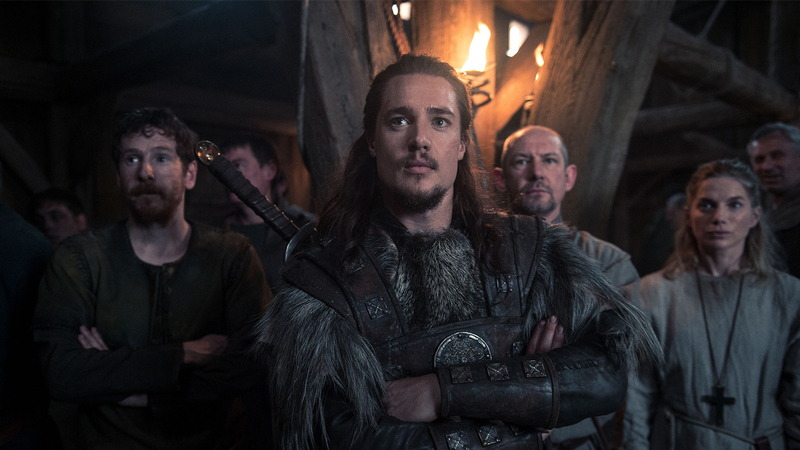 It was a good week for Netflix’s historical drama The Last Kingdom, which rose 5 places to become this week’s sixth highest demand digital original title. Hulu’s The Handmaid’s Tale and Netflix’s Orange Is The New Black also gained 3 and 4 places respectively from last week. The overall chart of the most in-demand titles in the United States this week was topped by Spongebob Squarepants, after the sad death of the show’s creator Stephen Hillenburg on Wednesday aged only 57. Although AMC’s The Walking Dead did not change in the rankings, the Demand Expressions for the title grew significantly from last week after the airing of the final episode of the first half of Season 9. Demand expressed for the show increased by 16.7% from last week’s figure. Elsewhere in the chart, measurement of US content demand showed that reality show The Voice, wrestling feature WWE Monday Night Raw and animated sitcom South Park all re-entered the top ten most in-demand titles this week. Meanwhile, sci-fi show Doctor Who, teen drama Riverdale and superhero series The Flash all improved on their top ten ranking from last week.